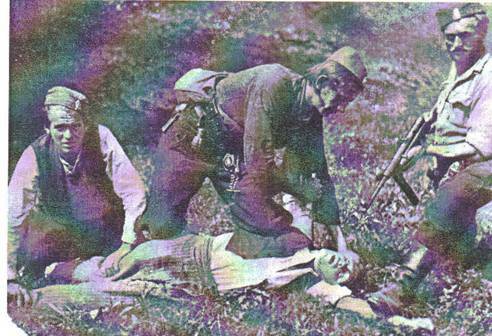 Image:Yugoslav Royalist Forces commonly known as Chetniks, slaughtering a civilian in this undated picture. 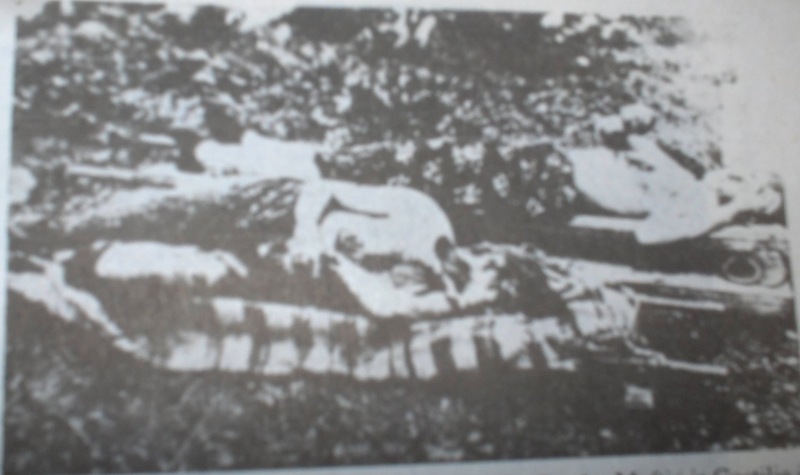 Image: Ćamka Murtić(village Gostilja) and Safa Halilović(village Sase), raped and slaugthered by Bosnian Serbs from Visegrad, 1941. Picture taken by Sejdo Grabovic. 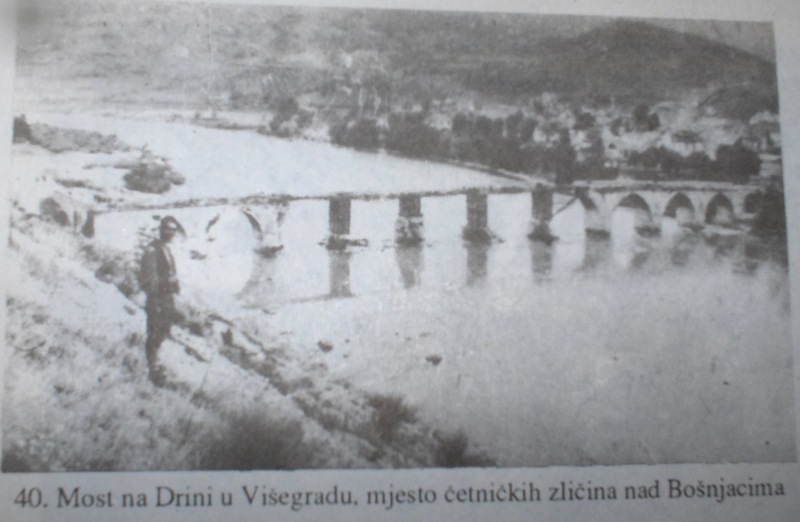 Image: The Mehmed-pasa Sokolovic Bridge, blown up by German Nazi troops. 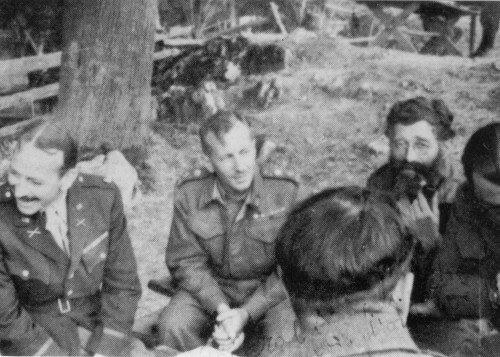 Image: Brigadier Charles Armstrong with Yugoslav Royalist Army General Draze Mihailovic, responsible for genocide against Bosnian Muslims in Eastern Bosnia, near Visegrad 1943 . 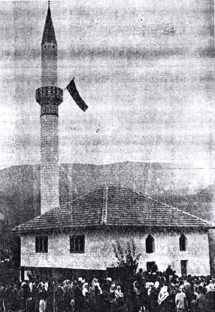 Mihailovic overlooked the attack on Visegrad and the slaughter of around 3,000 Bosnian Muslims in and around Visegrad. A number of British and American intelligence officers were present during the occupation of Visegrad and witnessed the massacre of Bosnian Muslim civilians.